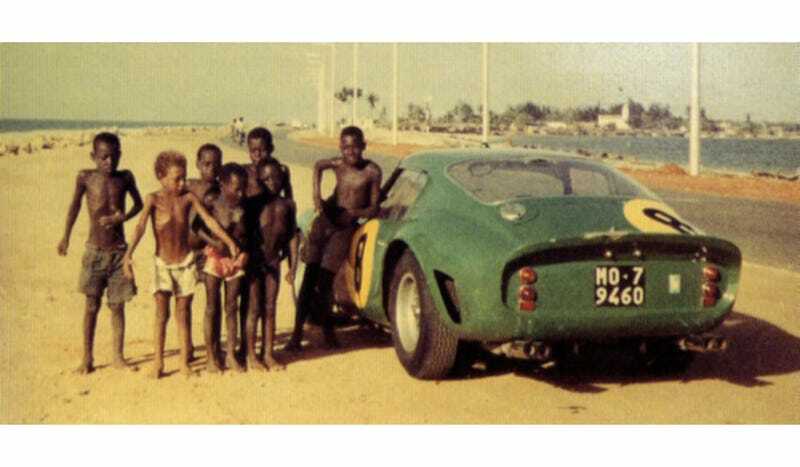 What Is This Ferrari 250 GTO Doing In Angola? One of motorsport's more dramatic pictures, this is British driver David Piper's Ferrari 250 GTO in Angola, 1962. It was part of a trip filled with victories, but defined by controversy. Like they did with the Tasman Series, many European racers in the ‘60s went to pre-independent southern Africa in the winter to keep racing. In '62, all the countries that held races down there were all still ruled by racist white governments. Piper himself had many victories while in Africa, but that is not how his races are remembered. Even though David Pier had no political opinions on Apartheid, he received catcalls from British students before he made his way down to race in Rhodesia (now Zimbabwe), Angola, and South Africa — perhaps the most hated country in the world at the time. It appears that the recent controversy about Formula One going to Bahrain is nothing new, then.